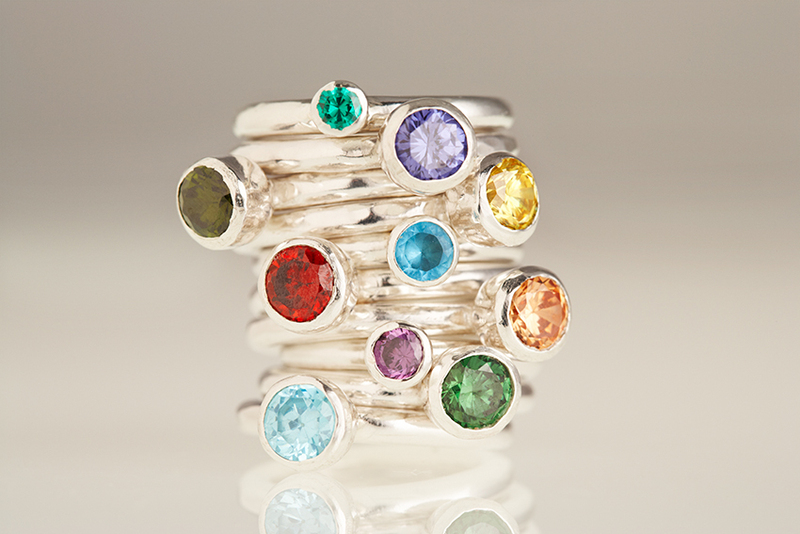 Solid silver round rings with large or small stones set in many colours. 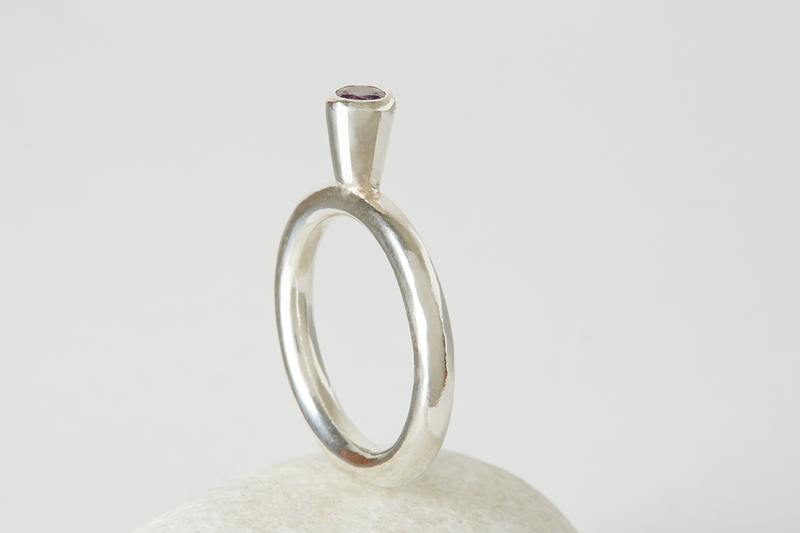 The picture shows a stack of rings. An example of the smaller stone is on the top of the stack. 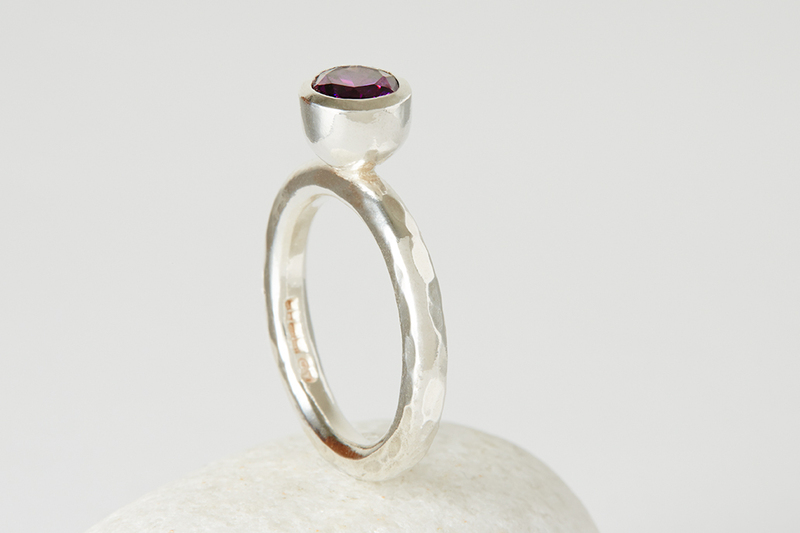 A large stone ring is the second ring on the stack.